reality bites reconsidered | Book Fight! In publishing news this week, we take a deep dive into the story of a first novel, Fishboy, to see how a debut novelist was being marketed and promoted by a big press circa 1994. The New York Times did a multi-part series on the book’s launch, providing a step-by-step look at how author Mark Richard tried to sell the book, and himself, to the reading public. We’ve also got video game news, font news (the birth of Comic Sans! 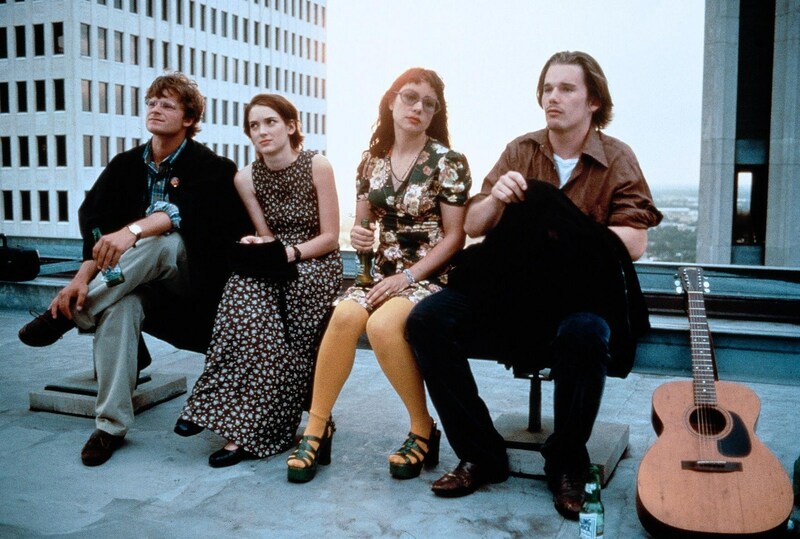 ), and for 90s Movie Club Mike is revisiting Reality Bites and wondering how Gen X was somehow erased from the public consciousness. If you like the show, please consider subscribing to our Patreon, which helps us make a bit of money each month and keep the show going. For just $5 a month, you’ll get access to a monthly bonus episode, Book Fight After Dark, in which we visit some of the weirder, funnier corners of the literary world. Recently, that’s involved reading a paranormal romance novel, the debut novel of Jersey Shore’s Snookie, and the novelization of the movie Battleship (yes, based on the popular board game). Categories: Episodes, Winter of Wayback | Tags: experimental forms in contemporary literature, literature of the 1990s, reality bites reconsidered, rick moody the grid, the birth of comic sans, video game history of the 90s, whatever happened to gen x, when was comic sans invented? | Permalink.